One of the 11 great bakers I met on the Great British Bake Off (GBBO), the legendary lover of coconut, Peter. was popping in for a cup of tea and a catch up. It is always lovely to see my new baking buddies, one thing is certain there will always be a trade of fresh backed treats. I was running late home from work, so needed something quick, delicious and of course it had to include coconut. 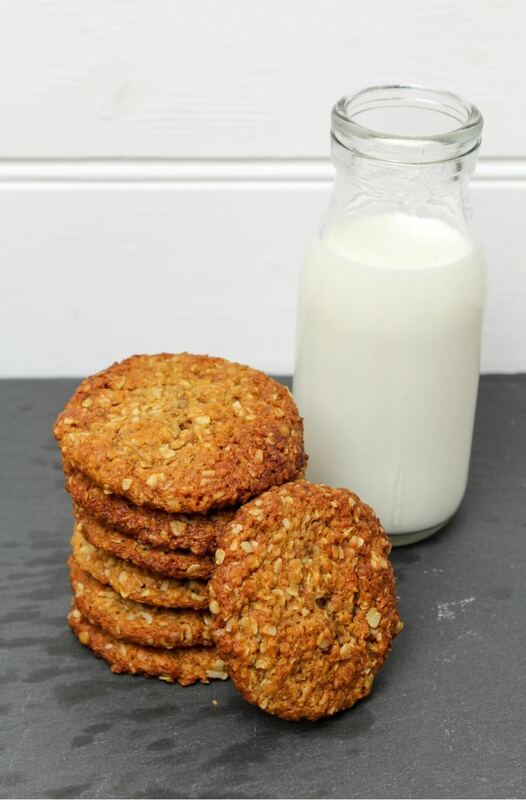 Fortunately I had stocked up on some desiccated coconut and with the well stocked baking cupboard, I decided to make some Anzac cookies. but you can switch that out for normal caster sugar. Peter brought along a couple of fresh baked loaves that were still warm and absolutely delicious. Put the flour, oats and sugar in a large mixing bowl. In a small saucepan, gently melt the butter and add the golden syrup and stir until combined. In a small bowl, mix the bicarbonate of soda with 2 teaspoons of boiling water. Mix and pour into the butter. Stir the butter mixture, it will fizz a little. Pour the butter mixture into the dry ingredients and stir with a wooden spoon until fully combined. Wet your hands. Scoop a tablespoon of the mixture and roll into a ball. Place on the baking sheet, allowing plenty of room for the biscuit to spread. Allow to cool on the tray for 5 minutes, then move to a cooling tray. Store in an airtight box when cooled. 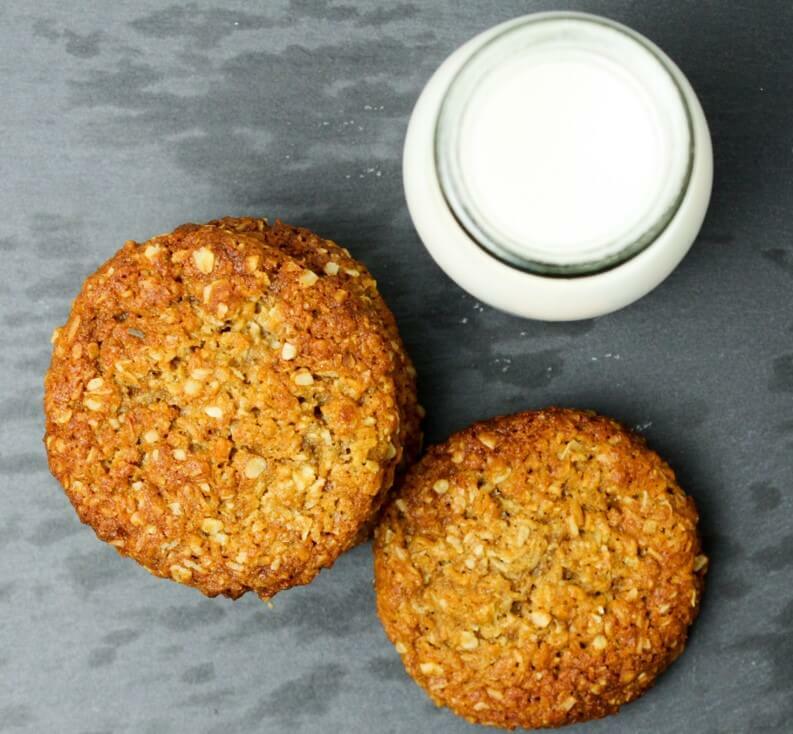 The Ultimate Anzac Cookie, Delicious coconut biscuits.